I froze, mid-step, in the center of my narrow kitchen and assessed the scene. Sure enough, I had been zipping like The Flash from one cooking station to another in frantic dash to get my gourmet dinner on a perfectly set table before any of the seven courses dropped in temperature. However, as my son so accurately pointed out, I was not The Flash. No one is. That was the moment I made my resolution to slow down in the New Year. Bring in the Year of the Fire Rooster! 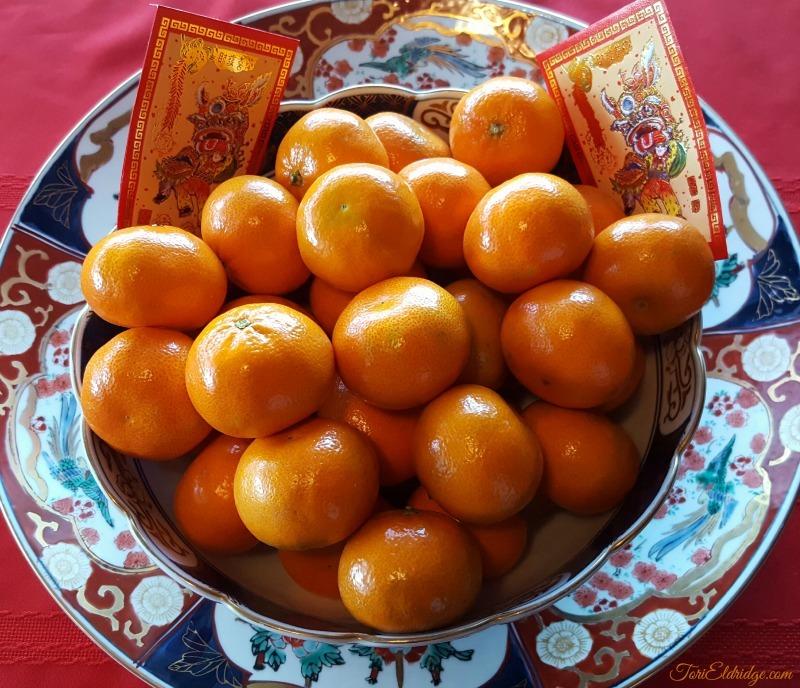 Because of my heritage, tradition, or simply my Eastern belief system, I orient myself according to the Chinese zodiac and the Lunar New Year. I follow certain rituals to focus my mind. I clean my house before (but not on or within three days following) New Year’s Day. I eat lucky food. And of course, I check out the predictions and cautions for the new year. Lucky for me, the Year of the Fire Rooster promises good fortune for the Metal Ox. And, yes, I’m both a Metal Ox and a Taurus—draw from that what you will. So there I was in my kitchen—hyper beyond measure, food flying, family banished to the perimeter in fear of getting trampled, mere minutes before sitting down to Christmas Eve dinner—when this revelation that I’m moving too fast smacks me the face. What a cliché, right? I mean, who hasn’t heard about the proverbial rose sniffing? But that wasn’t the kind of slowing down I needed to do. I didn’t need to learn how to relax and appreciate the nuances of life; I needed to actually move slower. Not an easy task for someone whose natural pace resembles Speedy Gonzales (if you’re too young to know who he is, Google it) and whose energy level could power a small apartment building. However, once my son had pointed out the obvious, I couldn’t un-see it. During the heavy demand of 2016, I shifted my speed into overdrive, becoming a highly efficient writer, caretaker, good-daughter, good-wife, good-mother, globe-trotting dynamo. Regardless of the fires that erupted on a near-weekly basis, I refused to let my writing lag. The house was a freaking disaster! But the writing progressed on schedule. I was forgetting and making more mistakes than my Alzheimer’s-suffering mother and ninety-year-old father combined! Seriously, it had me very concerned. I read up on Early Onset Alzheimers and checked in constantly with my husband, sisters, and sons to see if they noticed a decline in my mental acuity. So when my eldest pointed out the obvious problem (I wasn’t just moving too fast then, according to him I habitually moved too fast), I felt relieved. As with my writing, if there’s a fixable flaw in my behavior, I want to know about it! Which brings me to the day before Chinese New Year’s Eve—otherwise known Cleaning Day. The idea is to clean out the energy and any lingering bad luck from the previous year to make room for health, luck, and prosperity of the new. After the challenges of 2016, I had my work cut out for me, a task made doubly hard since I still had my Christmas tree, decorations, dishes, and linen to pack away. Don’t judge: Even Speedy Gonzales procrastinates, now and then. There wasn’t anything to be done. I had a house to clean and de-Christmas, a short story deadline for a next Never Fear anthology releasing this April, and a novel I desperately wanted to finish. Oh. And apparently, this blog to write. How was I going to accomplish any of this while moving slower? As I often do, I considered my ninja training. When I taught and actively trained in To Shin Do ninjutsu, I used to practice my techniques slowly and carefully. Slow became smooth. Smooth became efficient. And efficient movement manifested as speed and magic. So, as I cleaned the house, I concentrated on doing everything a few notches slower. Walking, sweeping, folding, even speaking! Whatever I did, I made sure to do it with calm, smooth deliberation. Let me tell you, it wasn’t easy. Every time I caught myself starting to speed up, I noted the error, and corrected the behavior. My nine-hour cleaning day evolved into an advanced exercise in mindfulness. A broken glass ornament reinforced the consequences of my unmindful bursts of speed, as did close calls with cuts and bumps. I welcomed the reminders. Progress was made at what was, for me, a slow and steady pace. I took breaks to eat a baked char siu bao, stretch by back, and reverse my blood flow with impromptu wall handstands. And guess what? The job got done. Perhaps not quite as much as I was capable of doing (trust me, I accomplished a helluva lot), but unquestionably with better results for the house, me, and my family. (No near collisions with a charging housekeeper or knife-wielding cook!) I even had a nice, quiet phone conversation with my Dad. I spent an entire day in a mindful practice that produced quantifiable results. What better way to enter the Year of the Fire Rooster? Fun Fact: The protagonist in my recently completed ninja mystery-thriller, Lily Wong AKA Dumpling, is born under the sign of the rooster, making this a rough year for her. Not surprising considering the hell I put her through! However, as a metal ox, 2017 is an outstanding year for me. I’m taking this as a very auspicious sign. Cool Shirts and Merchandise: The Fire Rooster logo on my featured photo is courtesy of Jimmo Shirts. Follow the link to check out the super cool Fire Rooster unisex tee-shirts, mug, and pillow. GUNG HAY FAT CHOY! I’m hoping for a year of calm, smooth efficiency. And more naps. Efficiency naps! ? Best wishes for you and yours in the New Year!